Clothes black color requires special care for several reasons. First, it quickly loses its initial brightness of colors in the wash with clothes of other colors and when you wear. Secondly, it is clearly manifest even minor contamination. Thirdly, the black is too noticeable dust particles, dander and lint. Owing to all these factors black things more and more blurred, and therefore the faster fade. But there are ways to counter this. Fill a bowl with cold water. Add two tablespoons of vinegar. Then soak in the resulting solution black clothes. Fifteen or twenty minutes, remove it from the water and wring out. After this you need to wash the thing in a familiar way. Rinsing should be in water with dissolved vinegar (proportions are maintained). Pour into a bowl of boiling water and add the natural black coffee. The solution should be very strong. Drop it into a faded black clothes. Remove the thing from the coffee solution after about twenty - thirty minutes. Then prosteride clothes in the usual way. Clear thing from all kinds of impurities, wash and dry. Prepare in a bowl a solution of boiled water and tobacco. The proportion shall be fifteen grams of tobacco per liter of boiled water. Then strain the mixture. Slowly apply the solution on the clothes brush. Then rinse it in cool water. Add some black mascara and one or two tablespoons of vinegar during the last rinse. Pour into a bowl of warm water for the last rinsing and dissolve in it a pinch of salt. Fill the basin with warm water and add a tablespoon of baking soda. This will not only help to return the saturation of colors, but also eliminate clothes smell of sweat. Use special dyes for clothes. They should be used after washing, before the final rinse. Take the thing that you want to return black (any other) color to the dry cleaners. There, at a low rent to her again will give the original rich color. - For a more prolonged saturation of the black color to take care of clothes with a special detergent, e.g., liquid washing powder for washing black clothes. - Do not wash clothes black with things the perfect shades. - Soak for no longer than thirty minutes, otherwise the clothes will sit down and matted. Always a pity when bright clothes quickly washed away the paint. Delicate wash cycle in cold water prolongs the life of the products, but it is better to fix the paint on fabric. Especially if you do it stained. The canvas, painted at home, won't fade and will long remain bright, if you rinse fabric in special solutions. This can be a mixture of salt and baking soda. The volume of water in 10 l take half a Cup of ordinary table salt and baking soda. These proportions are calculated for cut fabric size of 2 m by 1.5 m. the soaking Time depends on the fabric and type of dye you used. Soak and mysterywith things after a soda-salt solution in the pelvis, so as not to spoil the washing machine. Rinse the fabric very thoroughly, otherwise it can remain the stains from the salt. Another option is to dissolve the same amount of water a glass of vinegar. It must be vinegar and not vinegar essence. If you need to fix the paint on woolen garments, soak it in washing powder or liquid detergent, add ammonia at the rate of 1 tsp per 10 liters of water. Briefly put those in the water, then quickly wash. The water should be cold, around 35oC. Several times to rinse the clothes. At the last rinse add the water vinegar. It should take 5 teaspoons per 10 liters of water. If you need to fix the paint you apply with a picture or pattern on the fabric, carefully read the instructions. Some pigments can have its own characteristics that need to be followed. If there are no special notes no, then after you have applied the paint to the fabric, let them dry completely. On average, this takes up to 6-8 hours. Then about three minutes to iron iron the pattern. Select the temperature for cotton. Do not use mode couple. Iron the item inside out or from the face, but then puts a cloth. In the future, so the paint is not washed out of the fabric, wash the thing by hand in cold water or in the washing machine delicate washing at 40oC. When buying clothes and other textiles we do not think that the color may change after the first wash. To things please you with rich and bright colorAMI wash them correctly. Before washing, sort your things not only color, but also in tissues. After all, if you wash different texture of linen, it can stretch out or to sit down. To make sure that the fabric does not fade, place the flap in 10 minutes in the soap solution. Lightly RUB the fabric, rinse in cold water and leave it for 15 minutes. After the time check, not stained water and not lost if the color of the fabric itself. If everything is in order, you can wash clothes without fearing for her color. 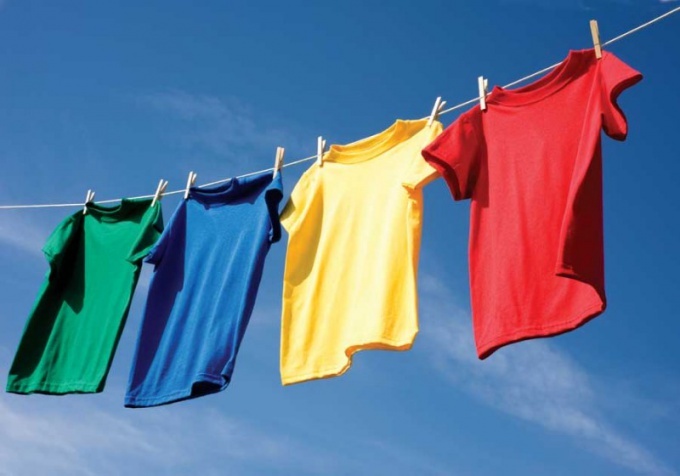 To be safe, try not to lather coloroff of clothing, wash them with a special powder for the colortion of the tissues. Now a large selection of Laundry detergents: it's not just powders, but gels, and conditioners. Pick up the powder for a specific type of fabric and can be washed. 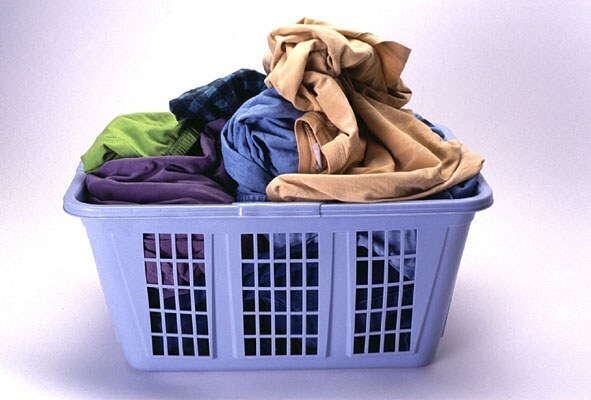 To prevent changes in colorand of cotton fabrics before the start of the wash to soak the clothes in salt water, rinse in cold water, and then wash as usual. Either soak the linen in cold water with turpentine in the ratio of 1 teaspoon per 2 liters of water. Then wash in cool, soapy water and rinse, pour into a bowl some vinegar. Red and blue fabrics will retain their color longer if you rinse to add water a few tablespoons of baking soda or vinegar. When boiling white clothes, add a few slices of lemon and then wash it the normal way. After that, the color of your clothes will be white, and the yellow is completely lost. Often the clothes are made from different texture and colorof fabric, making it difficult to wash. Before you wash this linen, soak it in a basin of water and add 5-7 teaspoons of salt. In this way all things wash with embroidery colorof the other threads. A good clue is the tag on the clothes. They set the water temperature allowed for the wash. If you follow the rules, save your favorite clothes in excellent condition. The black things lose their color fairly quickly, especially this happens with poor quality products. If you want to bring back the original look of dark things, it can be done in several ways. So better take care of clothes while she has not lost color, after all, to recover. 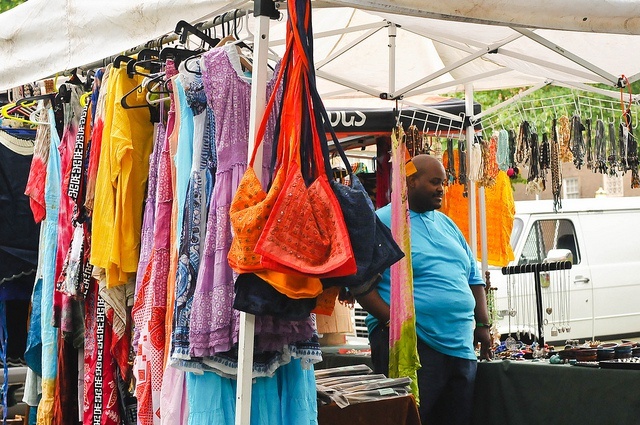 If your stuff is only slightly faded, buy special detergent for dark fabrics. Wash clothes at low temperature using purchased detergent. Gradually the color will become more intense. But the powder doesn't always work to restore things, because it does not contain dyes, therefore do not lay great hopes on him. Buy paint for fabrics. Carefully read the instructions, then proceed to dyeing things black. Do not forget after the procedure to rinse the clothes in a weak solution of vinegar or use a special top coat color. But after painting on the skin may remain dark marks. Buy only high-quality dye – this will help to avoid such unpleasant phenomenon. Faded wash with any thing new that sheds. Place them in the machine, switch the Laundry, and then stop. Let them rest awhile, so you will achieve level dyeing of the fabric, otherwise, can form spots. In some cases, things fade due to bad water. Take filtered or distilled water, pour it in a bucket and add a bit of liquid powder, salt and a tablespoon of baking soda. Boil the product on a slow fire, after which wash. If the fabric beat the scum, then this method should help to solve the problem with the color. If all else fails, take the product to the dry cleaners. You will paint with a special dye that not only will long remain on the fabric, but will not leave marks on the skin. Wash dark clothes with powder only for color or black things, then they will fade less. Powder with whitening effect can ruin dark thing just one wash. And those products that you wash separately from the others.